Jacqueline Leong, who was born in Sydney and was educated in Hong Kong, Australia and England, was called to the Bar in England more years ago than she cares to remember and subsequently to the Bars in Hong Kong, Australia (New South Wales and Victoria) and Singapore. She was appointed Queen’s Counsel (now Senior Counsel) in 1990. She sat for 12 years as a Recorder of the High Court in Hong Kong. She was Chairman of the Hong Kong Bar (the first woman chairman in the Commonwealth), the first woman President of the International Academy of Matrimonial Lawyers, a past Chair in the Family Law Committee of the International Bar Association, a past Chairman of the Hong Kong Family Law Association, the inaugural President of the Hong Kong Federation of Women Lawyers and is the Chair of the Hong Kong Bar’s Special Committee on Family Law. 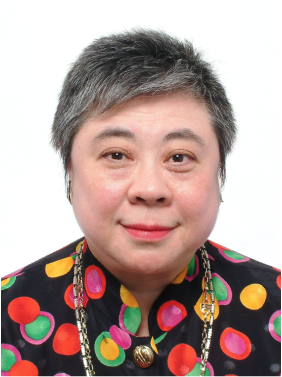 She was the Editor of the Family Law volume of the inaugural edition of Halsbury’s Laws of Hong Kong and has been an Honorary Lecturer in Law at the University of Hong Kong for more than 30 years. She has spoken internationally at numerous law conferences and seminars on family law and on issues pertaining to Hong Kong for more than 20 years. She has served on numerous committees, boards, commissions, working parties and other bodies dealing with areas of family law, the rule of law, human rights, administrative, governmental and social issues, and has been consulted by academic and other organisations both internationally and locally. She continues to hold office on numerous council, boards, committees and other bodies in various international legal organisations and plays an active role in their governance and activities.